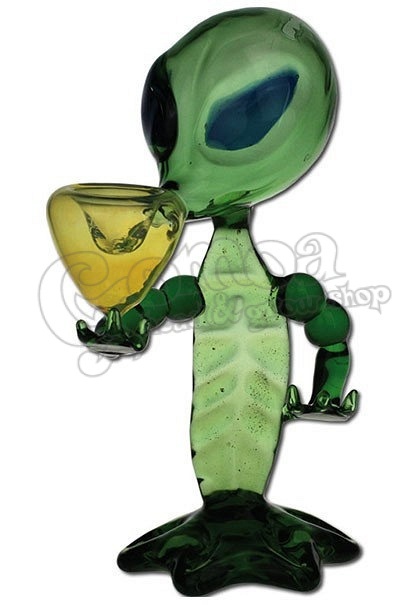 Colorful Alien shaped pipe made of heatproof glass. The unique design turns heads. 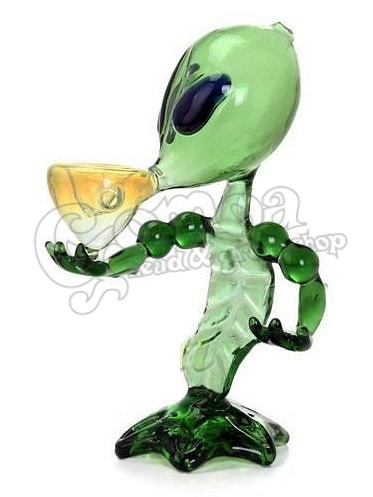 You will always be in the centre of the party with this little alien pipe. It also looks good on your shelf.